This Saturday marks the very first race of our GP series (more events to be announced soon). 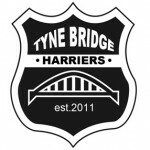 The brand new Tyne Bridge Harriers parkrun GP 2011 will consist of a series of 6 races held over the Summer months with the best 4 performances counting towards the final result. Each competitor will receive 10 points for completing a race (up to a maximum of 40 points) and 5 bonus points will be awarded to any competitor who completes all six races. The Grand Prix scoring system will use the parkrun ‘Age Grading’ system to determine how well a competitor has performed in each race. so if a competitor recorded an age grading of 77.5% they would receive 25 points. To stop a competitor from gaining an unfair advantage, only races which place at Newcastle parkrun on the dates shown above will qualify towards the Grand Prix. Best 4 races will count. Newcastle parkrun is a FREE weekly 5k timed event and your time can only be recorded if you have registered with parkrun and downloaded your personal barcode.